The Albatros Web Services (AWS) Tournament Calendar makes work for golf clubs easier and saves time. At the beginning of the year, the Tournament Calendar is entered once. 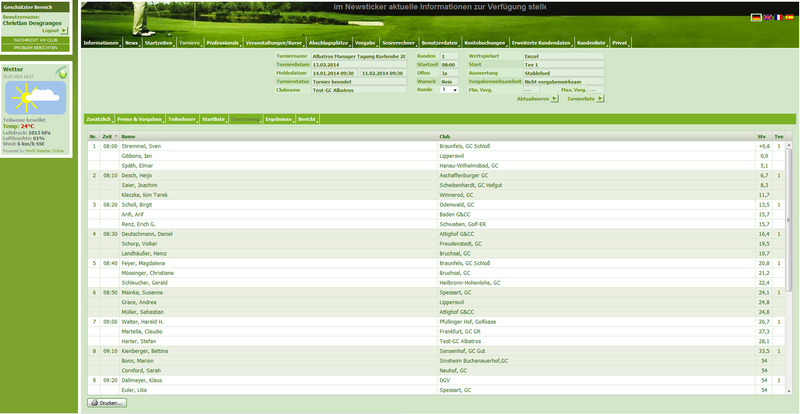 Due to the centralized database, the calendar is automatically available and updated on the club’s website. The Tournament Calendar can be set as “public” or “private”. Thus, tournaments might for instance be made accessible for members only. A distinction between tournaments for club members and public tournaments is also possible and is realized via a login. All postponements or changes of a tournament are made available everywhere at the same time. The Albatros AWS Tournament Calendar of course also works on mobile devices and – if used consistently – replaces the bulletin board. Your Central Tournament Administration. Everything under Control. The Albatros AWS Tournament Administration offers a complete handling of tournaments, from the tournament and the start list creation to the evaluation of the list of results and winners. Due to an extensive management of rights, users get access to the online tournament administration and, hence, a location-independent use outside of the club’s reception is possible. In addition, the management of rights enables for instance a game master or the ladie’s / men’s captain to independently handle a tournament from beginning to end. 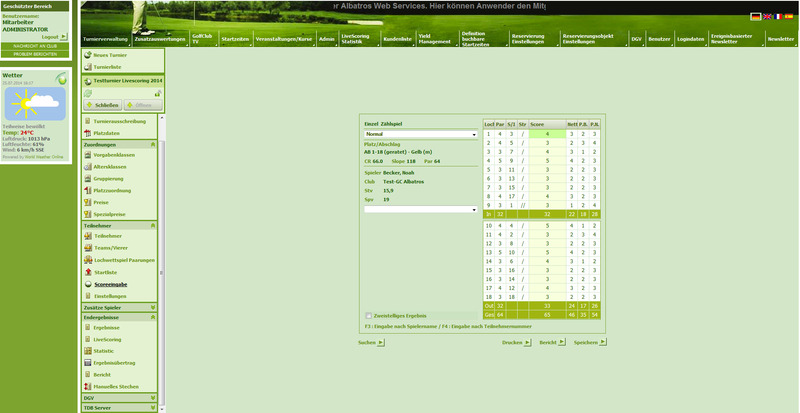 Since the Albatros AWS Tournament Administration is completely integrated into the Albatros product range, start, result, or winner lists can be displayed online, on mobile devices or on the Golf Club TV. Consequently, time is saved and possible errors or duplicate entries are avoided. 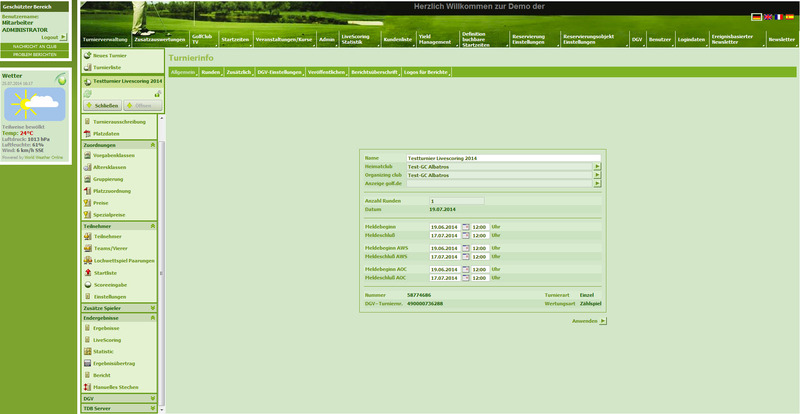 The GC Holledau uses the AWS Tournament Calendar as well as the AWS Tournament Administration – with success. In Mieming, the entire annual tournament calendar is available for online bookings anytime – thanks to AWS.